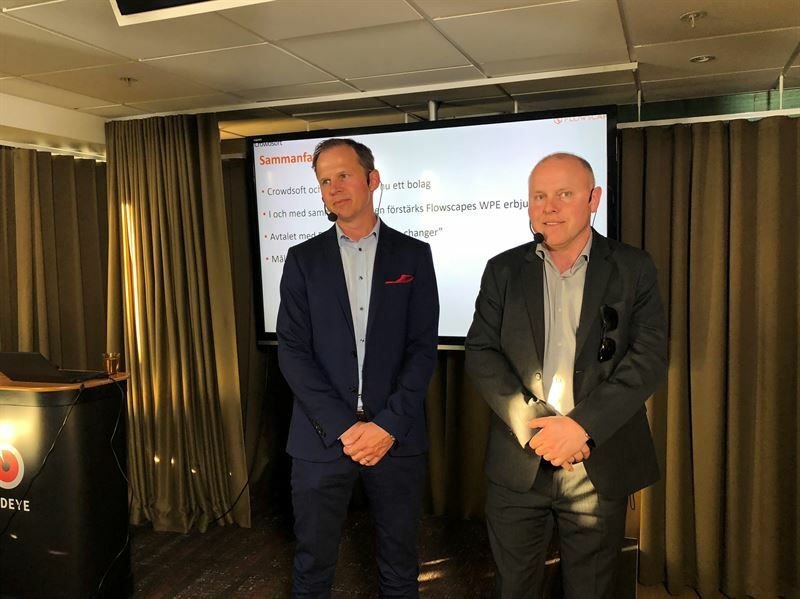 Flowscape and Crowdsoft CEO Peter Reigo spoke to investors at Redeye's Investor After Work event on 22 May about the merger of the two companies, the new partner agreement with Ericsson and the company’s goals for the coming years. Afterwards, Peter invited Ericsson's Global Head of Smart & Sustainable Cities Jo Arne Lindstad on stage to speak about the new five-year agreement which means that Flowscape's solution will be sold as a part of Ericsson's "Smart Building" concept. See the film where Jo Arne among other things speaks about Gartner's analysis of the market for automation of commercial buildings, where the IoT revenue is estimated to $ 190 billion in 2025.